We’ve had a few ups and downs on with the launching of the Pterosaur.net site. Msotly downs to be honst as we try and fix all the typos and misspellings, add in the missing figures and broken links and so on. Even so, it’s doing OK and is attracting visitors and links alike. As noted before, the main site is designed to be pretty static so those wanting up-to-date pterosaur information will be wanting to use the Pterosaur.net blog more than the main site. So it’s great news that we have actually managed to get that going now and already there are a couple of introductory posts by me up there and Mark Witton is reporting on his pterosaur building project as well as reviewing some old pterosaur related books. So hop on over there to enjoy some hot-off-the-press pterosaur goodness. I’ll be away for a few days, I’m off to Laioning again, so that should give you something to read while the Musings is quiet. Oh and the comments seem to be down, I can’t approve or post comments, even my own. I assume it’s temporary but you may have to wait a bit, sorry. Given that the dinosaur colours story broke the day before, I thought that the Haplocheirus story might struggle to make the press, especially as it is quite a complex story to cover. Nevertheless, plenty of places picked it up an a few of them are rounded up here. You can judge for yourself how successful or otherwise they were (especially in light of my recent ‘guide‘). Do take special note of the audio slide show at NSF’s website and from GW university that have lots of detail, including a video interview with Jonah Choiniere. 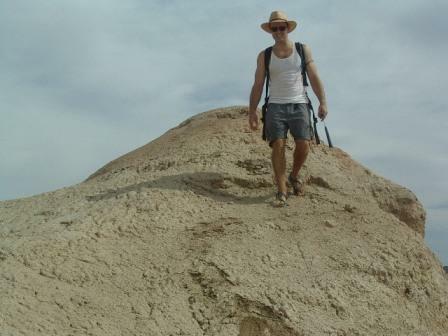 Jonah Choiniere continues his guest spot on the Musings with the news of the fascinating Haplocheirus, a basal alvarezsaur from the Jurassic that tells us quite a bit about theropod diversification and alvarezsaur evolution. If you have missed out, my brief review of alvarezsaurs is here, with a more detailed one by Jonah here. I started working with Dr. Clark in 2004 when I entered the Ph.D. program at George Washington University. Dr. Clark set me up with a project working on the systematic relationships of basal coelurosaurs, a big group of theropod dinosaurs that includes things like Tyrannosaurus, Velociraptor, and of course birds. I began work on this project in the summer of 2005, on my first visit to China. 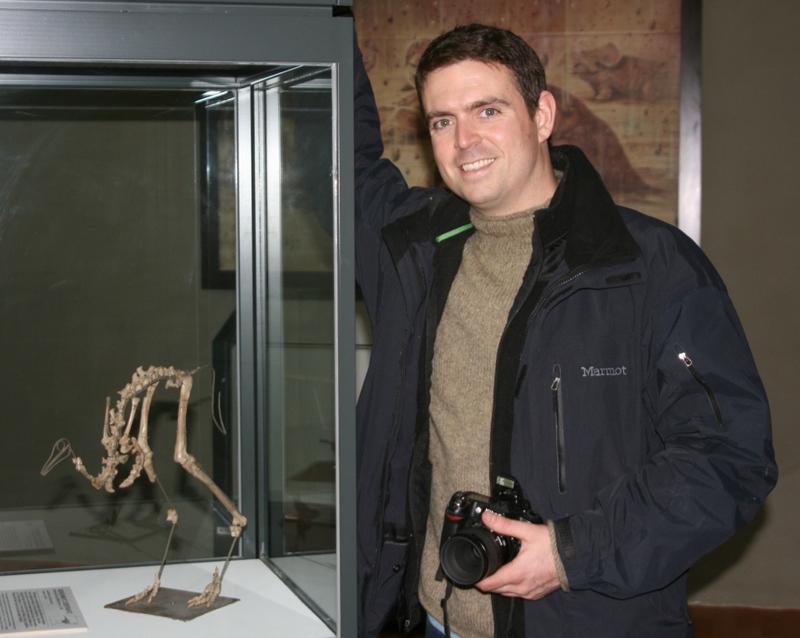 One of the first fossils I looked at was the theropod skeleton unearthed in 2004. On first glance, the skull looked like an ornithomimosaur, but Dr. Xu and Dr. Clark bade me to carefully consider the specimen. 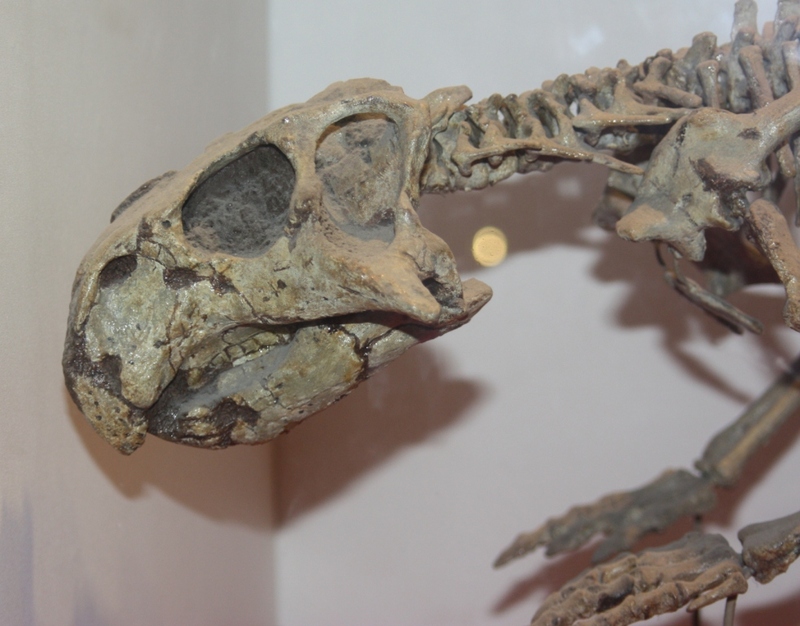 We began to notice similarities between the skeleton and that of alvarezsaurids, and a large phylogenetic analysis confirmed that many of these similarities were shared, derived characteristics – this was an alvarezsaur. The paper released today is a first look at these characteristics. After toying with some other names, we finally settled on Haplocheirus sollers as the scientific name for the new animal. The name means “simple-handed skilful one,” in reference to the fact that Haplocheirus has a simple (plesiomorphic) hand relative to the derived hand of other alvarezsaurids, and that it may have used this hand in ways that other alvarezsaurids couldn’t have (i.e., grasping prey rather than merely digging). Because Haplocheirus slots in at the base of Alvarezsauridae, we elected to call this larger group (i.e., Alvarezsauridae plus Haplocheirus) the Alvarezsauroidea, which is consistent with some other larger groups of theropods (eg., Spinosauroidea, Tyrannosauroidea) and reflects the increased diversity of this clade. The specimen of Haplocheirus (less the skull). Image courtesy of Jonah Choiniere. I present the details of why we think Haplocheirus is an alvarezsauroid in the paper, so I’ll let the reader look there, but below I’ll talk a bit about some of the neater features of the skull and the forelimb. Among the near interminable questions one has to answer as a palaeontologist such as ‘what was the biggest dinosaur?’ and ‘how fast were they?’ is ‘what colour were they?’. The stock answer is always, ‘well we don’t know, but we can make an educated guess based on living animals’. 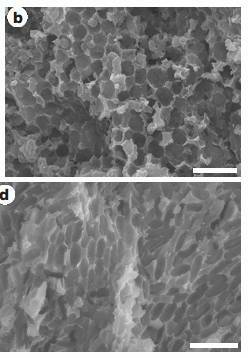 The new answer is ‘we look at the microstructure of the melanosomes in the feathers’. Two different kinds of melanosomes from fossil feathers. Modified from Zhang et al., 2010. Yes, a new paper in Nature today reveals how we might yet be able to work out the colours of some dinosaurs and birds thank to the quite incredible preservation of various animals in places like Liaoning. Melanosomes are tiny organelles that hold colour pigments and help give feathers their colours (more on them here, something written for this paper) and these have now been found in some feathers from ancient fossil beds. For a start this is likely to be the final nail in the coffin that some feathers are just collagen fibers or even fakes as some have claimed, since you know, having a microstructure identical to that seen in modern feathers seems rather unlikely that something 0.005 of a millimetre could be faked. More importantly and excitingly though, some melanosomes in extant birds vary in size and shape according to the pigments they house. In other words, you can tell what colour they are by their shape. If it’s one shape it’ll be one colour, a different shape, a different colour. That means that if you have a feather from a dinosaur say, you can tell what colour it was by the shape of the preserved melanosomes. 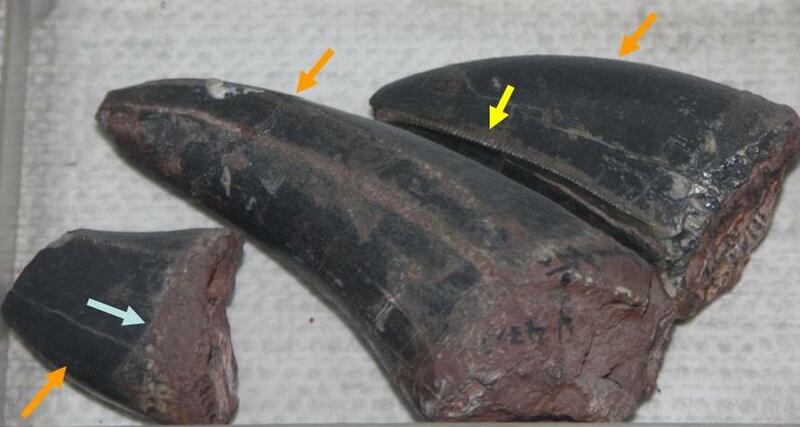 While some fossil feathers already show a striping pattern of light and dark this only tells us that one part was lighter than the other, the actual colours were unknown so it could have been blue and yellow or green and brown or even black and white. The presence of identifiable melanosomes with known structures can help to work out the colours of the animals that bore them. Similar work has admittedly already been done by another research team on feathers of similar antiquity, but this is the first time it’s been applied to dinosaurs. Inevitably the results are not going to be that dramatic. Only a small part of some individual feathers have been analysed and feather colour is made up of more than just the melanosomes. 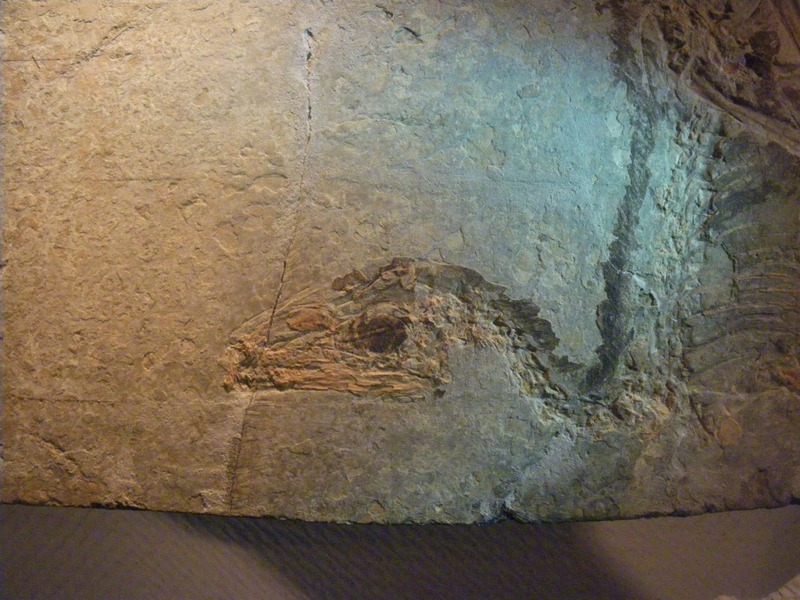 Nevertheless, some distinctions can be made and the authors note that it looks like Sinosauropteryx for example had a red-brown tail (or at least some russet tail feathers). It’s in one sense a small step forwards, but in the long term it could be one of the most important for finally revealing the colour of the dinosaurs. In preparation for the main post tomorrow, Jonah Choiniere, elaborates on my little overview of alvarezsaurs from yesterday and provides some historical context for the new find. There’s a pretty exciting alvarezsaur paper in the works that’s due out very soon and so as a brief primer I thought it time for a quick post on the Musings. It’s going to be a big year for alvarezsaurs in China if all the papers come through in time, but the first is likely to be the best and that’s due in just a day or so. Alvarezsaurs are maniraptoran theropods, that is they belong to the derived group that includes things like oviraptorosaurs, dromaeosaurs and of course, birds. While everything else in this group have noticeably long arms and hands, those of the alvarezsaurs are notably, even strikingly, reduced. Although the clade is pretty new (the first animal only being identified in the 1990s) it was a while before they were widely accepted as non-avian dinosaurs hence their exclusion from ‘The Dinosauria’ and inclusion in the Mesozoic birds tome ‘Above the Heads of Dinosaurs’, but their position now as maniraptorans seems pretty secure. They do indeed have several features which resemble birds such as the big sternum and very avian-like legs and as discussed previously, when fossils are pretty incomplete a few convergent characters can mask the true identity of a species or group, especially if you only have very derived and highly modified taxa present. Jonah Choiniere with a typically small alvarezsaur - Mononykys. 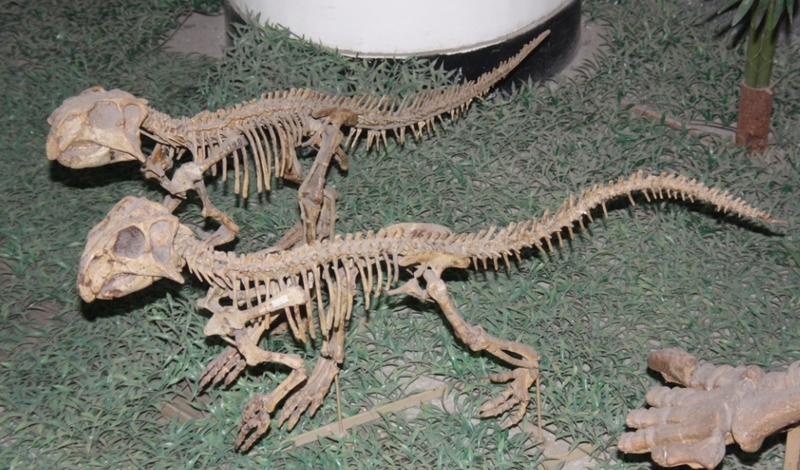 Most alvarezsaurs are really quite small, the biggest were only about 2 m long (which even by the standards of the relatively small maniraptorans is about average) and the smallest were a fraction of this – more like 50 cm or so. In gross appearance and proportions they looked rather like the average ornithomimosaur (long neck, small head, long legs, medium tail) but again it’s the hands that really stand out (or not). While T. rex is famous for having just a couple of fingers and the derived ceratosaurs have very small hands (and indeed even the basal ones are quite small) they don’t have much on the alvarezsaurs. The arms are massively reduced and the fingers largely gone except for one which is massive and robust. In short they have one giant finger and claw, one or two other small digits and a short, but powerful arm. It’s quite a combination. Ecologically the consensus (or at least best supported hypothesis) is that these animals were insectivores or perhaps even more specialist ant and termite eaters. This would fit well with the numerous but very small teeth seen in the few skull elements we have preserved and the very robust forelimbs and giant claw but on an otherwise reduced arm. Digging animals sport many of these same adaptations so it would suggest that alvarezsaurs (or at least some of them) were digging for their supper either in the ground or more probably in wood. That’s it for now as this is supposed to be a short primer, more to come very soon. A Late Cretaceous, Asian, Baryonychine. Probably. So I have a new paper out describing what is probably not only the first baryonychine in Asia, but also the first in the Late Cretaceous. Why probably? Well because it’s based on a single isolated tooth and while I and my colleagues are pretty confident of the identification (as indeed were several other colleagues who took a look at the tooth), it’s pretty hard to be absolutely sure when that is all you have to go on. 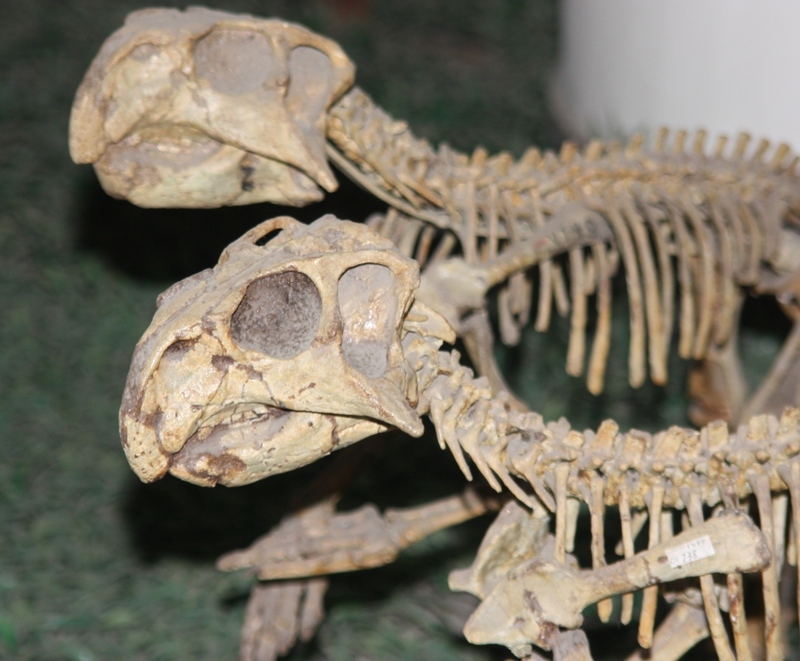 If there is one dinosaur that’s near impossible to avoid in China it’s Psittacosaurus. Despite my general lack of interest in small ornithischians (compared only to other archosaurs really, don’t think I don’t like ‘em) I’ve seen dozens of these simply because they are so ubiquitous. I’m not aware of any hard data on the subject, and it would be very difficult to collect, but I’d be surprised if Psittacosaurus were not the most numerous dinosaur in the fossil record. At the very least there are hundreds of recorded specimens in China and that also means there are likely hundreds more sitting unprepared, or uncatalogued in various collections or obscure provincial museums in addition to those collected in Mongolia and Tahiland, and the likely hundreds more that have been collected illegally. They certainly turn up with monotonous regularity at trade fairs and with fossil dealers, and in localities where they are present (and there are a great many of those) they are often by far the most common thing found. There are, in short, a lot of them. It is therefore, probably only my lack of enthusiasm for them that has stopped me from covering this wee beastie before since the IVPP has at least a dozen specimens and several on display (though they have sneaked in here in the past). If noting else Psittcosaurus is unusual as we have lots of specimens from Lianoning as well as other sites, so you often see flat 2-D psittacosaurs and complete 3D ones. Here are a few of the latter from the IVPP with both original material and casts being on display. Yet another IVPP ornithischian, though for once it’s not a Chinese but North American. This is Leptoceratops (obviously) and it’s a relatively small ceratopsian that was hanging around right at the end Cretaceous period and thus was contemporaneous with bigger ceratopsians like Triceratops and Torosaurus. I had been under the impression that this was a sculpted mount, but Phil Currie told me that there was original material in there collected as part of the famous (and very productive) Sino-Canadian Dinosaur Project. A closer look revealed this to be true and part of the pelvis, hindlimb and a few vertebrae are indeed original (not that you can probably see from the photo). 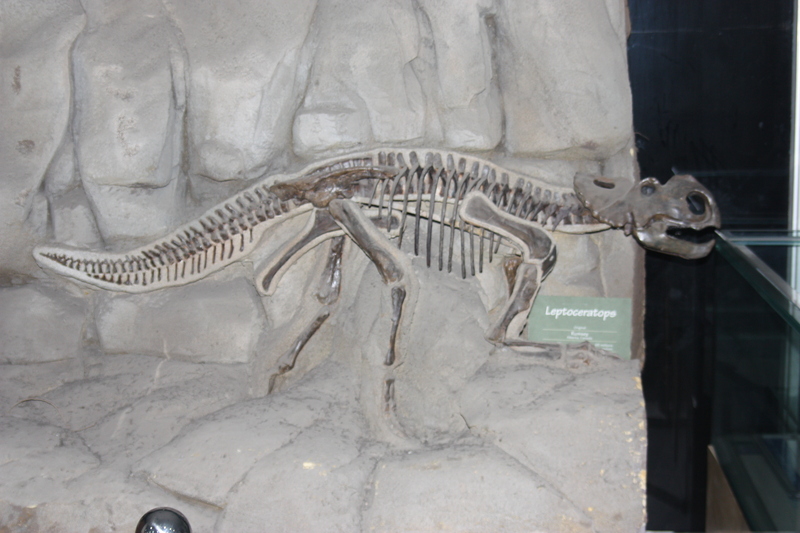 EDIT: Some detective work and firsthand knowledge from Andy Farke and Darren Tanke (see the comments below for details) shows that this is not, as advertised, a specimen of Leptoceratops, but in fact a juvenile Pachyrhinosaurus. 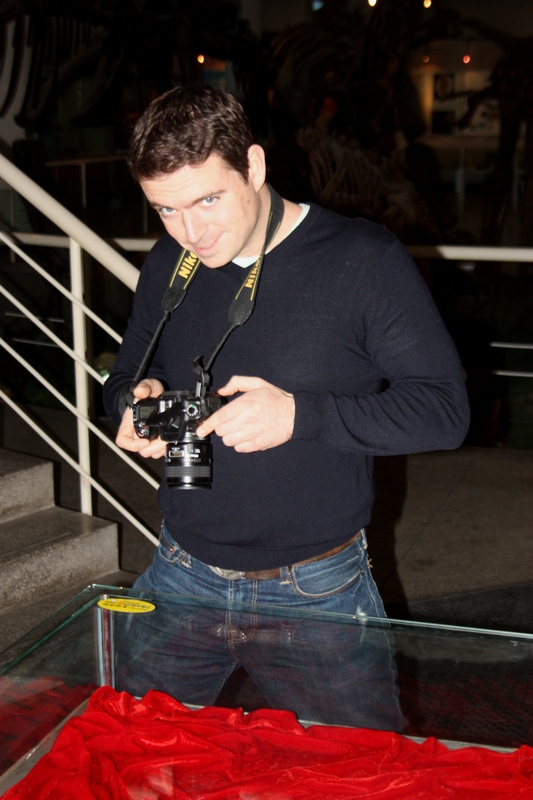 It’s those museum signs again…. Ah well, it’s still a nice picture. I’ve now passed the 500 odd post mark (if you include all the old stuff on DinoBase) and frankly it’s getting hard to remember what I have and have not said before. While I don’t think this post is a real repeat of anything I’ve said before I’ll be surprised if I’ve not mentioned it at least in passing and may well have gone into some detail. Since I try to avoid covering ‘new’ things to do with archosaurs, and focus on the basics palaeontology and the mechanics of research on archosaurs I don’t really have the luxury of always ‘moving forwards’. As such it’s really only a matter of time before I end up completely repeating myself in a post or two (or three). However, I’m working under the assumption that this is unlikely to be a problem. New readers will not necessarily have read my whole back catalogue (though I would ask, if not, why not? It’s all great, honest.) and regular readers won’t necessarily remember what I said two years ago (since I can’t, I doubt they can). Should this end up repetitive then consider it like revision – something rarely stays in the mind permanently after one round, so a little brush up, or re-examination of an old topic is hardly a disaster. With that in mind, onto the largely (I think) uncovered world of osteological correlates and their place in palaeontology. Fish in a barrel – is it worth it? I came across this little piece today and was tempted to leave a comment pointing out some of the many simple errors (which includes many of those decried recently). The names are not italicised, they seem happy to identify genera from just tracks and bizarrely place the Late Jurassic North American Brachiosaurus and Late Cretaceous Tyrannosaurus together in the UK. 1. It’s quite likely the journalist will never read it, or if they do, will take anyhting from it and might well assume I’m being picky. 2. It takes a few minutes of my time and is it worth it (not much admittedly, and probably less than writing this post, but I’m thinking more generally about correcting articles online that this one specifically). 3. There are so many of these that this is a drop in the ocean. Now on balance, I do think this is worth it (and tried but failed to leave a comment). But it does beg the question, are we better off trying to educate the public rather than the journos, is correcting every article point by point as they appear a worthwhile strategy, are be better off trying to get to the source than the output, and will be just annoy the readers and the writers with our apparent elitism / arrogance? This is a subject I have been somewhat deliberately avoiding since it seemed a bit too technical and would involve me having to create some figures or do something more complex than just typing. However with an upcoming paper on teeth that I want to talk about on the blog it seems like I’ll have to do it sooner or later, and before is definitely more relevant than after. So in the best traditions of compromise / laziness, I’ve kept it as brief as possible. I’ll be clear from the off that I’m only trying to cover the general features that turn up in theropod teeth and not describe the range or variation or which features appear in which taxa. Even so, it’s worth noting that theropod teeth are fairly conservative and the general statement that they are laterally compressed, recurved and have serrations on the front and back edges covers most of them quite well. There is inevitably a quite a bit of deviation from this and some teeth are really quite diagnostic (like those of derived troodontids) while others are pretty generalised and hard to pin down in isolation (like those of basal tetanurans). Here then are the terms (as best as possible, since sadly they are not all standardised) that you’ll most commonly come across with descriptions of theropod teeth. So obviously the bit at the bottom that sits in the jaw is the root and bit exposed on top (with the enamel covering) is the crown. So much so boring. Although the root is mostly missing (and the crown is broken too) you can see the junction between the root and crown as indicated by the blue arrow. This is usually indicated by a change in colour in the fossil and a slight constriction. Most theropod teeth have a degree of recurvature, that is they curve back over themselves so that the tip of the tooth is closer to the rear than the front. Here I have marked the anterior face of the teeth with an orange arrow so you can see how they curve. Also usually present are a pair of carinae, the sharp edges of the teeth. Obviously these are usually on the anterior and posterior edges in line with each other, but they can be offset from the centreline of the tooth or split in some cases. Along the each carina there’s usually a series of serrations, or more properly, denticles. These are often absent (typically because they are not preserved or wore away) or highly modified and there’s quite a range of morphology if you look in detail. One carina is nicely raised up and clear here and you can make out (just) the individual denticles marked with a yellow arrow. Theropod teeth can also have various degrees of ornamentation, most notably the wrinkled enamel effect, which is hard to describe accurately, but really quite self-evidence when you see it. Less common, but occasion, the tooth can be ornamented or fluted with various sub-parallel, vertically orientated striations.